A good biography will grip you, move you, and challenge you. In really getting to know someone in all the dynamics that make him or her the person he or she was, you find out things about yourself and, perhaps, what you would like to be. When Mr. Marsh takes pen in hand on Bonhoeffer that is exactly the experience you have. Mr. Marsh can write–that is obvious. He delved into his subject until he had something to say. He took a multifaceted view and hid nothing. Even what could have been mundane information, like certain academic pursuits, was woven together to show us the man progressing to become what he finally became in magisterial prose. As you go along you find Bonhoeffer to be a spoiled kid far into adulthood, indulgent, lazy in physical work, and a lover of extended travel, and at times, a man with a temper. Still, you could not help but admire him. There is duplicity in us all, yet Christ can raise us above it. Though his theology was a good bit to the left of mine, I firmly believe he was a believer who not only loved the Lord, but grew to love Him more. As with any of us he wrestled with some of the hard choices of life. In the end, he far more came down on the right side, a side fraught with danger and pain. I do not know what he died thinking, but he died a victor. The only negative of the book was the suggestion that, perhaps, there was a homosexual attraction for his dear friend Bethge. That seemed a cheap gimmick for our ages’ fascination of homosexuality. The friendship was as close as possible, but Bethge always clearly refuted this suggestion. 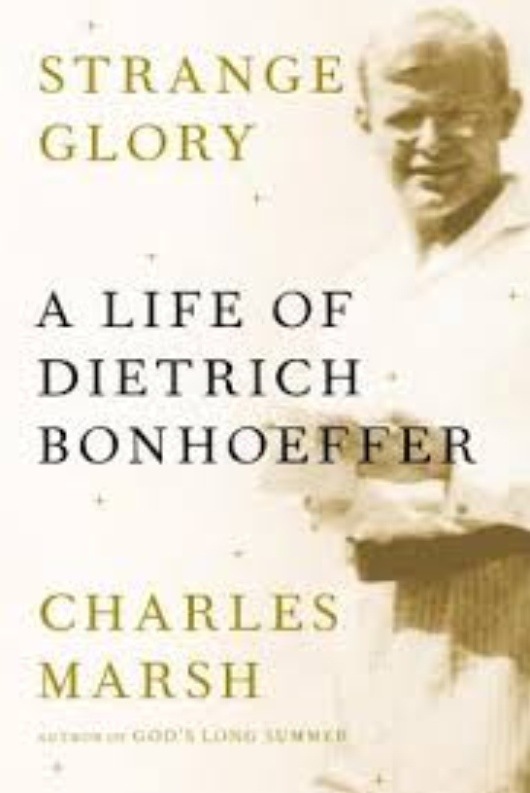 With no compelling evidence given, and knowing what a painful charge it would have been to Bonhoeffer who lacks the privilege to be alive to refute it, I suggest you toss it out so this otherwise great book will not be marred. Still, this page-turner you will enjoy reading! I’ve been fascinated with Bonhoeffer’s story for a long time (my mom is German; my German family definitely can be witnessed to using Bonhoeffer’s story). I have heard some say he was not truly born again … and then I read Eric Metaxes’s Bonhoeffer biography and I think there is enough evidence that there was a true change in his life at thie point when he came to the States and returned to a Hitler-dominated Germany. A change worth dying for!! His theology is more liberal than mine, but I so believe he was born again. Hope you get a chance to enjoy the movie.